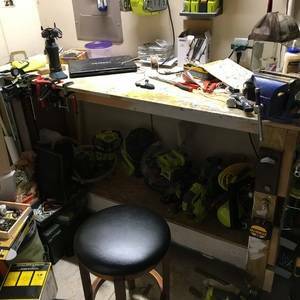 This workbench was built about 2 years ago after we moved into our new house. 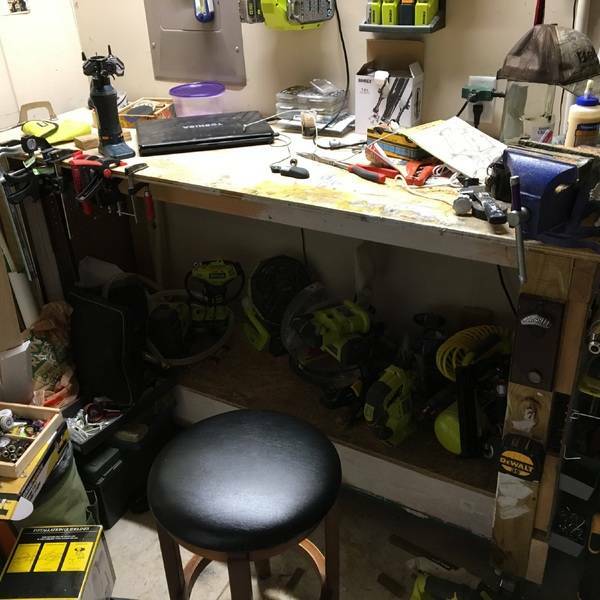 I really wanted a workbench that would serve many functions. It took longer because it was a little more intricate than the standard workbench. My new neighbor, Rob, helped me out and even donated the 2x6s' that make up the bottom frame. My wife suggested I use the space of the 2x6 frame as storage area. It was a good idea. My other neighbor, Mark, gave me some stainless steal piano hinge for the lower storage compartment. I added peg board to each end and a bench vice to the top.